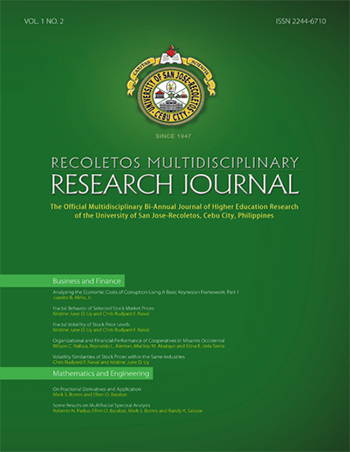 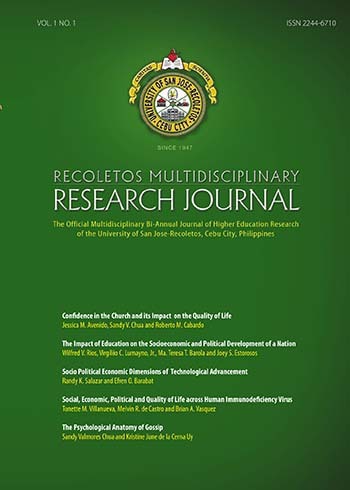 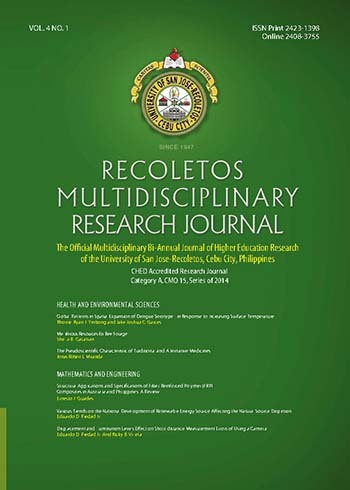 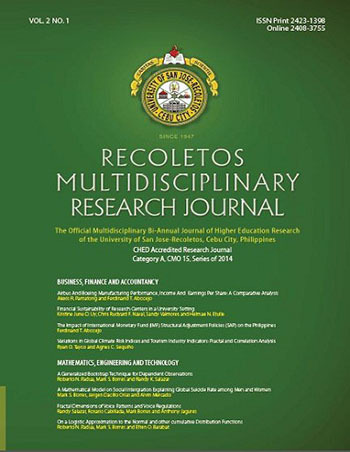 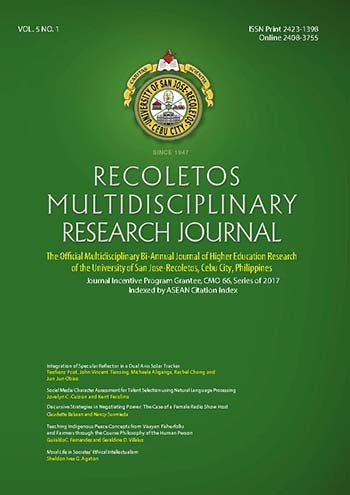 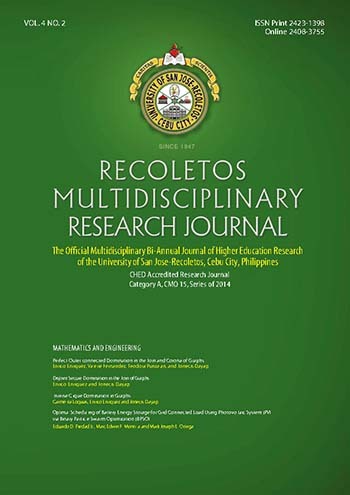 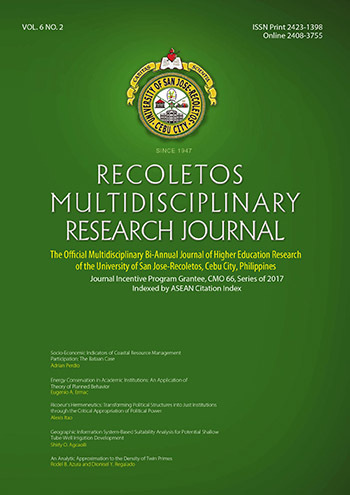 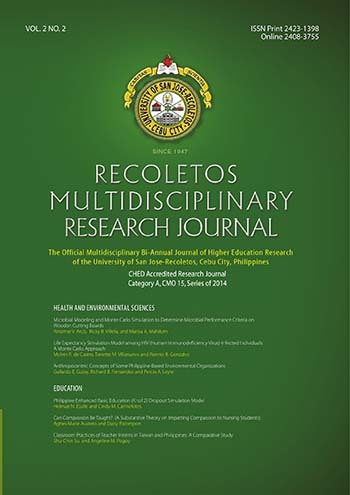 The Recoletos Multidisciplinary Research Journal is the official Journal of Higher Education of the University of San Jose-Recoletos, Cebu City, and is published bi-annually by the Center for Policy, Research & Development Studies (CPRDS), in December and June. 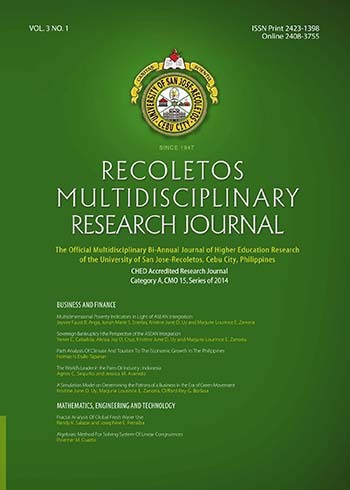 It is an open venue dedicated to the promotion of knowledge in various disciplines. It adheres to the policy that all articles contained therein must meet the rigors of an independent peer review system and editing to ensure that the publication possesses scientific and academic merit.